There comes a time that we want to have our PDF in other file formats such as Word, Excel, Images and PowerPoint just to name a few. This might seem impossible when you do not know how to do it. It is very easy when you have PDF converter software that not only converts PDF files to different file formats but also supports batch conversion of PDF files. 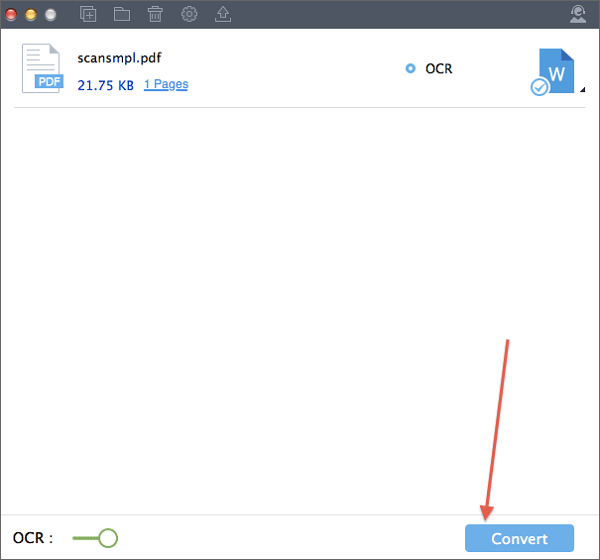 In this article we focus on how to convert PDF on Mac (High Sierra compatible) using two efficient tools including PDFelement 6 for Mac. 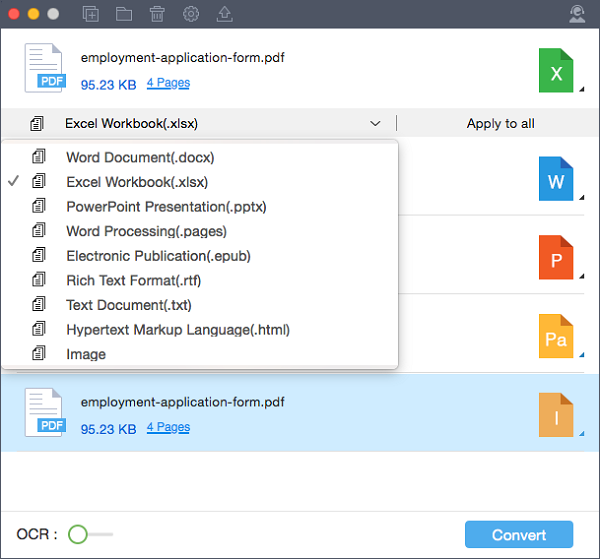 PDFelement 6 for Mac is a fully featured software that can convert PDF to editable formats such as Word, HTML, Images, EPUB, Excel, PowerPoint, Rich Text, and Plain Text without any quality loss. It allows you to change texts, replace images, add texts and change font size. It creates PDFs from images, HTML, RTF and also by combining other PDF files. It generates PDF forms with custom options and allows you to fill out forms easily. It protects PDFs with open password and permission password as well as redaction. 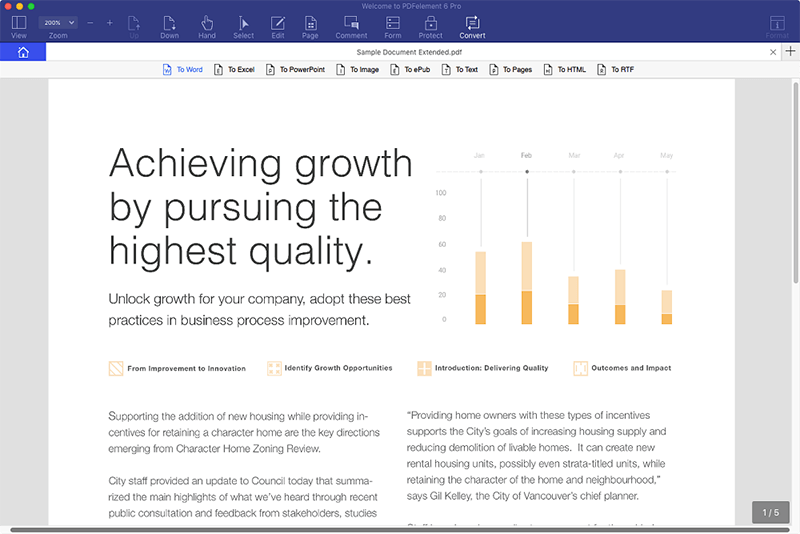 It can turn image-based PDFs into editable files due to its powerful OCR functionality. It allows you manage PDF pages by reordering, deleting, extracting and inserting pages. 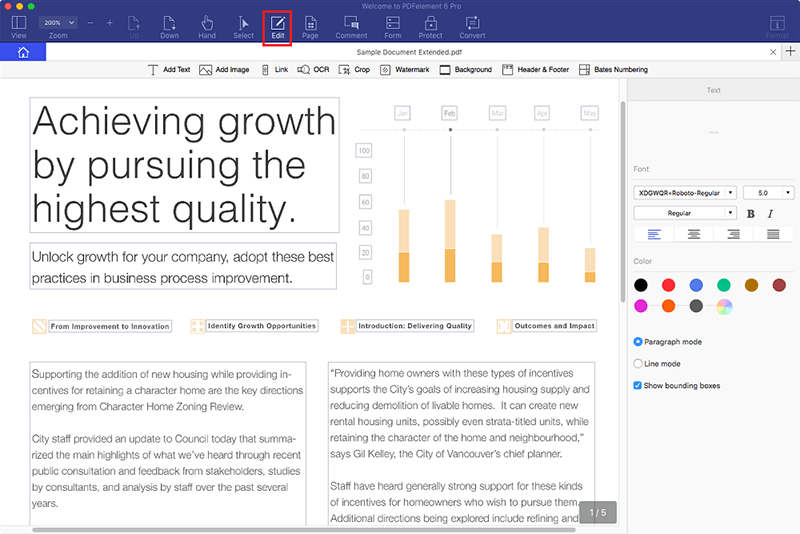 You can also use it to comment, annotate, watermark, highlight, strikethrough, underline, and draw shapes on your PDF file. It supports Mac OS X 10.10, 10.11, 10.12, 10.13 and macOS 10.14 Mojave. 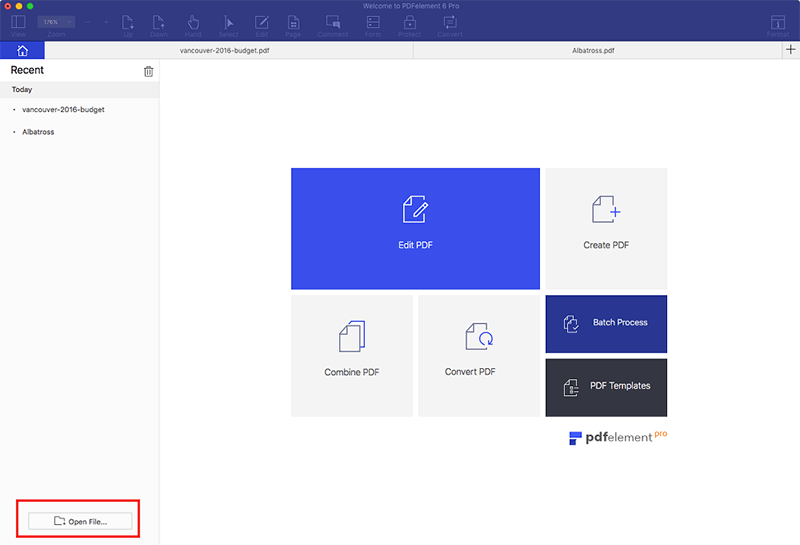 Launch PDFelement on your Mac, click on "Edit PDF" and select the PDF file. This method is suitable when you want to edit your PDF before converting it. You can also click on "Open File" button at the lower right to import the PDF. Next, you need to make changes on your PDF. Click on the "Edit" button on the toolbar, to get editing tools options. To edit texts, double click on the text field and begin typing. You can change the font style by clicking on “Font”, then select texts, and choose the desired font size, color and style. To change images, double click on the existing image to rotate, flip, crop and replace it. To add image you need to select the Add Image button and then click on a desired field and import image from your computer. To convert, move the cursor to the top right and click on the "Convert" button. 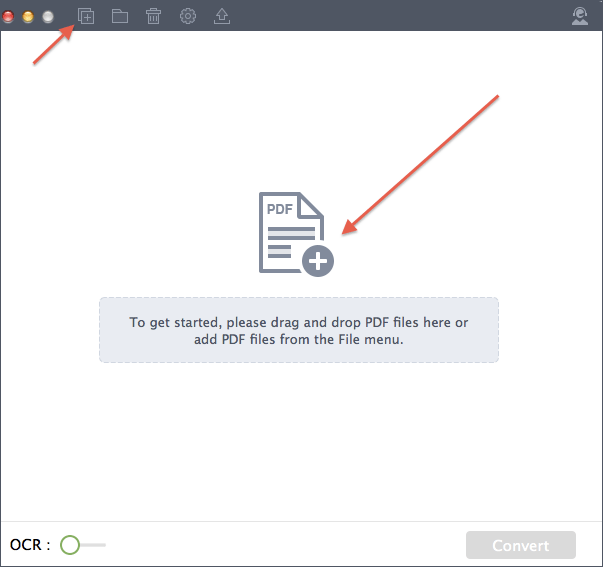 In the conversion window, you can click the Add Files button to load more PDFs to convert. Next, click on "W" icon to choose the format you want and. Finally click on "Convert" button. You will be prompted to identify location where you need to save you file. Finish the process by clicking on "Save" and you PDF will be converted. It has the ability to converted password protected files. It has an OCR feature that allows you to converted scanned PDF files. It supports batch and partial conversion of files. It supports Mac OS X 10.7 and above, including macOS Mojave. With this software you can drag and drop PDF files to the program, or click on "Add Files" button to import files. After importing the file, you can now click on "W" and choose the output format you want. You can also specify the pages that you want to convert. From there, you can now click on "Convert" button and you will be required to identify a location where you need to save the file. Your PDF file will then be converted immediately.